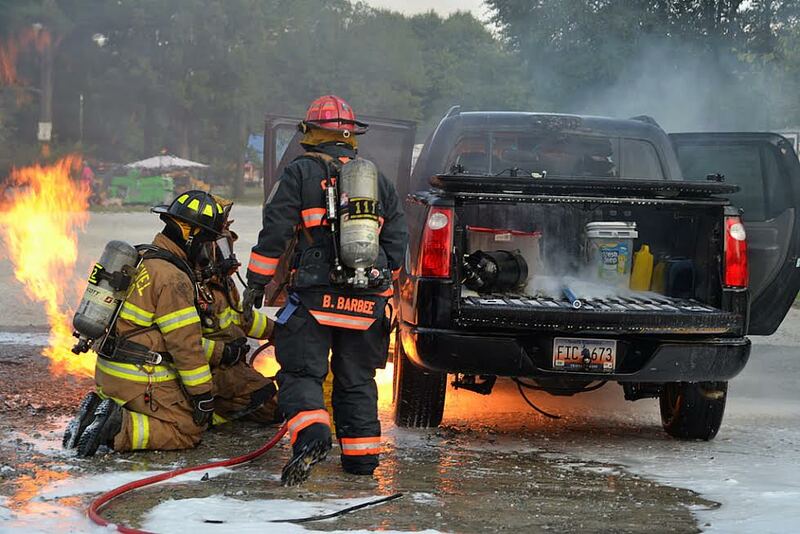 Firefighters had a difficult time extinguishing a burning vehicle Monday evening. The driver of a pickup, from South Carolina, had just pulled onto Campground Road next to I-95 in Selma when the vehicle caught fire. The fuel tank ruptured and began leaking gasoline making it difficult to quickly extinguish. Firefighters from the Selma and Pine Level Fire Departments responded to the 7pm fire. Crews had to use water and foam to put out the stubborn fire. The cause of the fire remains under investigation.